I have found in my many years that there are a few foods everyone loves. They may not like a certain brand or restaurant that serves that sort of food, but they like that particular type of food from somewhere. Pizza’s one of those foods. I tend to like the cracker crust style pizza of Iriana’s, Main Street Pizza in El Dorado and U.S. Pizza Company. I have a friend who leans the other way, preferring a Chicago-thick crust and lots of heft, like you find at Damgoode Pies and Old Chicago. Another friend is definitely on the OW Pizza side. 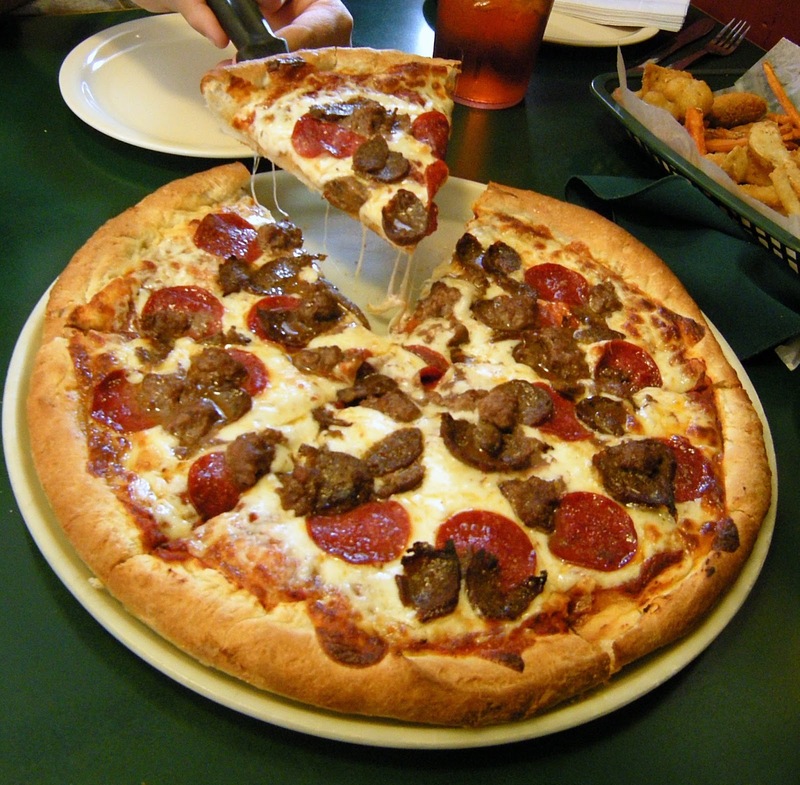 Hot Springs has its own classic pizza joint, Rod’s Pizza Cellar. It’d been years since I’d been, I think maybe I wasn’t legal to drive yet. Or if I was, I wasn’t legal to drink. I know the place by reputation and have been sending folks there for some time. But even I know it’s foolhardy to expect consistency over a long period of time. I simply had to make the trip myself..
My dining companions and I dropped by on a Saturday, just after the buffet was closed. We had gone in expecting to order completely different pizzas -- this being my Chicago-crust loving friend -- but instead we decided to give the Lil Heifer a try. It just looked so… tasty. 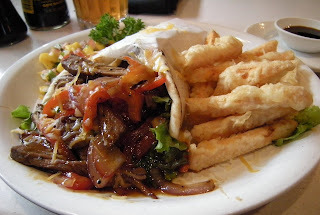 We also decided to split the difference and not decide on any specific appetizer, going for the Taste Teaser instead. The appetizer basket came out first, naturally. The Taste Teaser ($9.99) isn’t the neat little sampler platter you get other places with neatly segregated items and dipping sauces. This is a big basket of fried food, from parsleyed JoJo potatoes and French fries and sweet potato fries to breaded chicken and cheese sticks to Jalapeno poppers and beef and cheese filled T-Ravs. There was literally something for everyone, along with a hefty side of marinara for dipping. The basket was bigger than what I usually eat total for lunch, and I’m glad there were three of us to share it. Then out comes the pizza. Now, I have to tell you, I miss pepperoni. Most places use a pork pepperoni that’d send me into days of agony. The Lil Heifer ($19.99 for the 13” Sicilian thick crust we got) was topped with all beef pepperoni, Angus beef chunks and Rod’s own all beef smoked pepperoni. 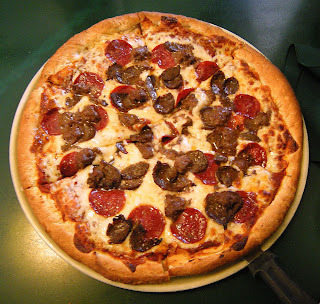 While I could take or leave the Angus beef bits, the all beef smoked pepperoni was, in my humble estimation, da bomb. Woodsy and thick and meaty and spicy and all those good things you want meat to be. I would have been happy with nothing but that one particular topping. We did notice a few things that Rod’s gets right about the pizza. The sauce on there is different from the marinara served up with the sampler platter. The cheese is not your average Sysco blend too many of our local joints order up and use. We like both of those things. The crust, though… okay, it was good. It was filling and we took half of the pizza home with us. But it doesn’t seem to be your traditional yeast crust. It seems to be more like a biscuit type dough in action. I’m not saying that’s wrong. I’m saying it’s different, and it was delicious. Part of the reason we didn’t even try to go further on the pizza was because I wanted to check out the Fried Cheesecake ($4.95). I mean, fried? Cheesecake? As my companion noted, that’s just gilding the lilly. 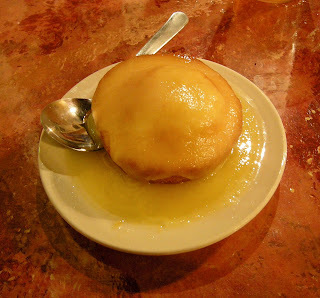 It reminded me of the fried ice cream you get in Mexican restaurants. 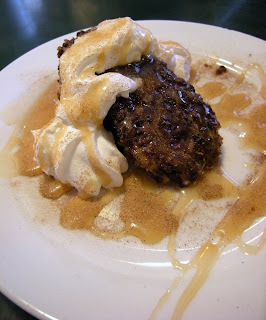 While the cheesecake itself was typical, it seemed to have been rolled in a cornflake sort of mixture and dunked and deep fried, then drizzled with a hefty amount of caramel, dusted with brown sugar and cinnamon and topped with whipped cream. I wasn’t complaining. The frying process had made the inside nice and soft, except at the back end. No complaints here -- there was nothing left on that plate for our waitress to take back. 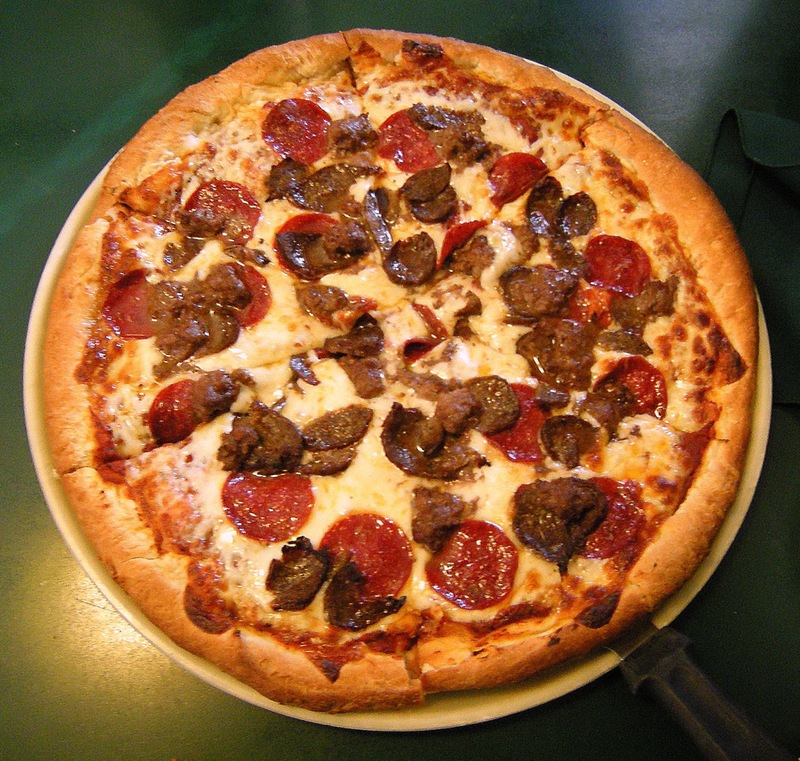 You’ll find Rod’s Pizza Cellar at 3350 Central Avenue, about half the distance between Oaklawn and the Bypass on the west side of the road. 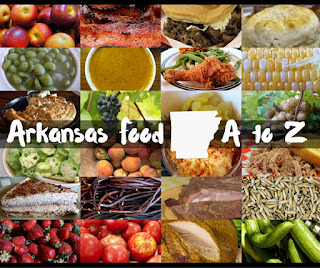 They’re open every day except Monday from 11 a.m. to 10 p.m. You can give them a call at (501) 321-2313 or check out their website. You ever go back to a place you visited in your youth? You hope that things will be exactly the same, a snapshot in time. Most of the time hopes are dashed -- people have moved on and things have changed. But there’s a bar in Little Rock that still feels the same, still serves the same great food, and still feels a little bit like home. Back in the mid-90s, I was fresh out of college and enjoying the twenty-something lifestyle. 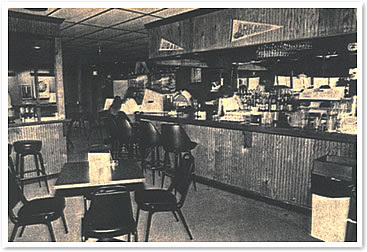 I had a lot of friends close to my age, and our local hang-out was Zack’s Place on South University. We’d go down there in a group to play darts and NTN and chill out. I was the designated driver… it always worked out that way, but that was fine by me. I got my drinks and sometimes even my eats for free. We lived a couple of blocks away, so it wasn’t unusual to see us there any of the six days of the week the place was open. We all grew up, and some of us moved away for a while. Paul and I came back here in 1999 -- on May 13th, to be exact. We sat down and had lunch and decided that day we’d been engaged long enough, and set our wedding date for exactly six months later. Somehow, after we got married, we just didn’t end up over there as often. But eventually, I had to come back and see what had happened, see if the magic was still there. First thing I noticed pulling up was the “Under 21 Not Admitted” sign, which would have been a deal-buster when I was a younger woman. Now it’s standard. The law states you can either allow smoking and limit access by age or be open to everyone and ban smoking. Many of the places I’ve been to since the law went into effect seem like smokehouses -- but it’s not too bad here. The ventilation is good. I walked in one afternoon and had to figure out what was wrong with the picture. When I was a younger woman, there were pool tables on the right when you came in, right in front of the big mural on the north wall of local celebrities in the stands at Ray Winder Field. I had at that time hopes to be enshrined on that wall. There had been tables on the right, and darts on the south wall. Things have changed. Now there’s a partial wall on the right, I suppose to keep errant darts from spearing would-be patrons on entrance. 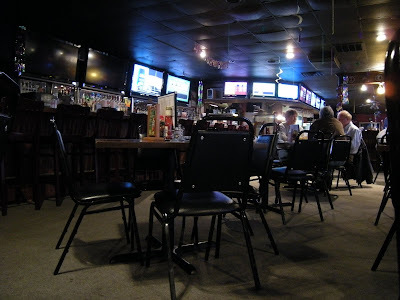 The pool tables are on the left -- and the left goes on quite a bit. Two years ago Zack’s Place took over the unoccupied slot next door and expanded out. There are a lot more tables now, some high bar tables and of all things couches along the wall. There’s even a small dance floor in the back corner -- imagine that! The bar’s been expanded along the western wall, and there’s a bank of monitors overhead, with NTN and some sort of poker and of course ESPN and just about anything else you want to watch. And it’s still cold. I’m not sure why it’s cold, but the thermostat at Zack’s Place has always been set somewhere in the 60s or below, doesn’t matter the time of year. With its black ceilings and walls, it really does feel a bit like a cave. Well, the atmosphere didn’t seem all that different -- but what about the food? I wanted to know if all those favorites we used to come down for were still on the menu. Good news is, they are. 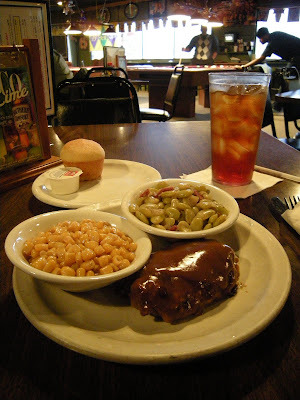 I went for lunch one day and sure enough, the big white wipe board had its share of daily specials listed, entrees on the top, selection of sides on the bottom and a few special desserts. I ordered up the Salisbury Steak (all of these dinner specials are $6.99 with two sides and a roll) with butter corn and lima beans. The meat was tangy, like an oniony meatloaf with gravy. 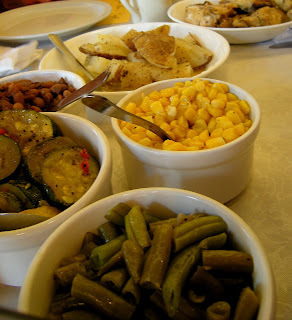 The butter corn was its usual salty self -- and the lima beans were good and salty with bits of bacon. An unsweet cornbread roll completed the meal. 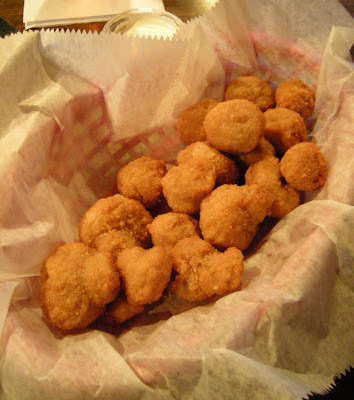 Another visit, and there were the Breaded Mushrooms ($4.49). I had almost gone for my other old appetizer favorite, the Jack Cheese Sticks ($5.59) but decided I needed something slightly healthier. 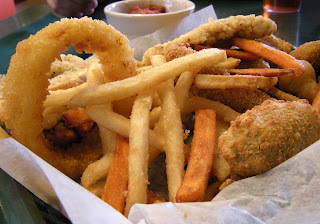 The mushrooms were same as they ever were, plentiful in a basket with that cornmeal breading and a side of ranch. 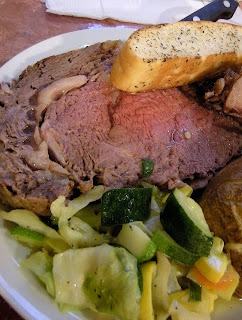 Generous portion, they come out hot and you have to either let them cool or go for it with the ranch dressing. And I’m not kidding -- they are exactly as they were 15 years ago. 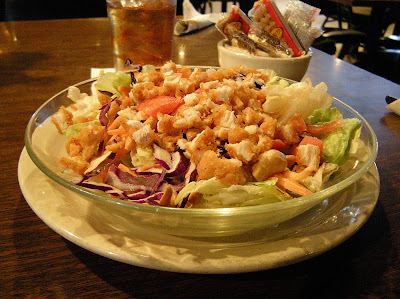 I had to give the Fried Salad ($6.99) another whirl. 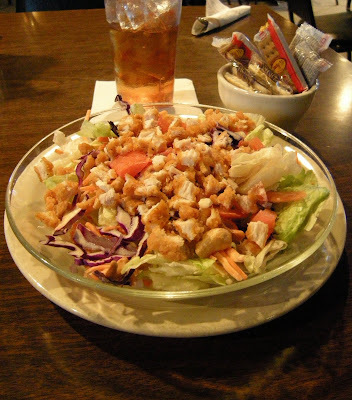 This was my favorite back in the day, pieces of fried chicken strips and cashews and tomatoes on a bed of greens. The pieces of chicken are diced up smaller now, but otherwise it’s the same salad, and paired up with some honey mustard and some Thousand Island dressing (yes, I know, weird combination, but I like it) and the cup o’crackers sent out with it… I was in a time warp. It was a good time warp. 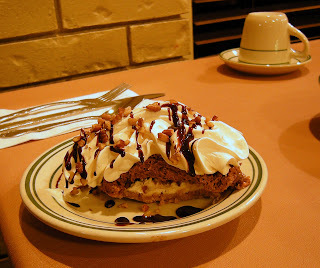 One thing that I used to have almost every time I went in was the Turtle Cheesecake. But I know better now -- that comes pre-packaged. 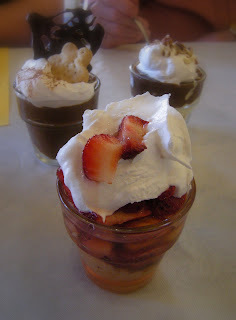 I wanted something housemade for dessert -- that’s how I roll these days. 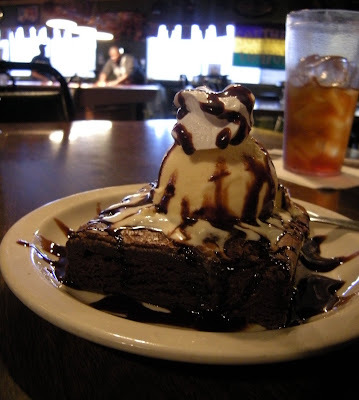 So on the suggestion of my waitress I tried the homemade Brownie a la Mode. I chose well. 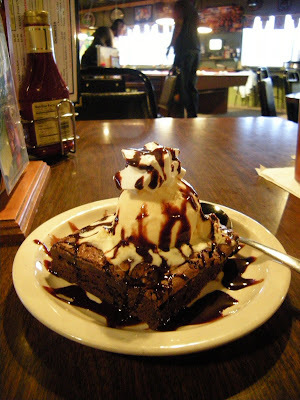 The nutless brownie was both crisp and chewy while also being decently dense, a good match to ice cream. Portion was larger than my waist needed, but that was all right. So, really, Zack’s may have expanded and re-arranged. The menu hasn’t, though, except for the prices (I can remember when you could nurse chips and salsa all night for $1.99) and there are still a crew of regulars hanging around. Just another neighborhood bar with good food. 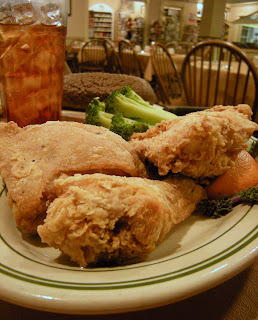 You’ll find Zack’s Place on South University a couple of blocks south of 12th Street. Thing is, if you approach it from the north you’re in good shape; from the south, you need to take the curb cut just north of EZ Mart, since there’s not another curb cut until 12th Street. Open Monday-Saturday from 11am to 2am (1am on Saturday) -- hell, maybe they’re open Sunday now, but I didn’t check. I doubt it, though. 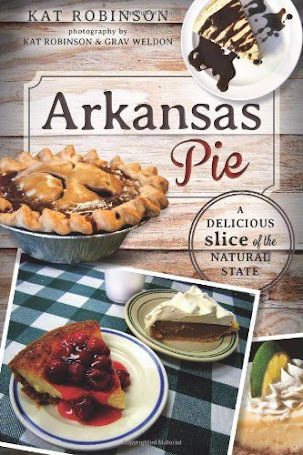 They have a website now… or you can call (501) 664-6444. 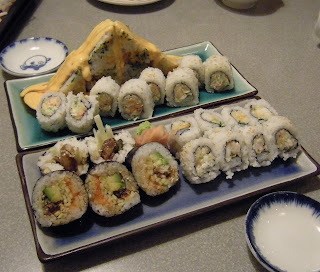 Maybe it started out as a fad, but sushi in Little Rock’s here to stay. The usual suspects are around -- Kobe Steakhouse, Sekisui, those sort of places. We’re lucky to have sushi chefs stirring up take-home options at Whole Foods, Fresh Market and Kroger these days. 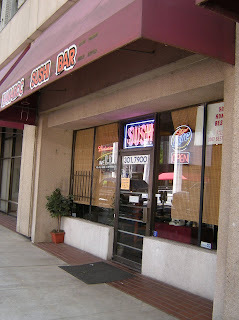 But we’re also blessed with a decent number of locally owned and operated restaurants that serve up sushi. These (usually) rice screened and teak wooded entities all over our metropolis, and most of them have survived. I’ve been collecting these for a little while, But I have to admit something. I used to just not care for sushi. Thought it was an overpriced waste of time. Sure, the creations were pretty, but weren’t these things just snacks? Then… I got pregnant. And suddenly sushi seemed to be the only thing I wanted. 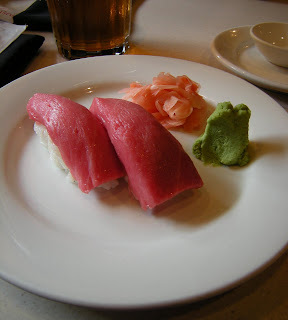 Of course, when you’re pregnant you can’t eat all sushi -- that whole eating raw food goes straight out the window. 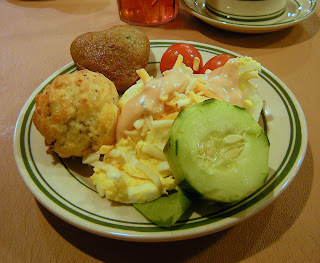 But I found plenty of other options -- rolls that included cooked shrimp, egg, vegetables and whatnot. And I fell in love with it. Those cravings didn’t go away after our daughter was born, so I set out to find all the local sushi places around town and figure out which ones I liked the best. In the end, there were seven -- seven places I have to recommend, each for their own little bit of goodness. Each of them has their own specialty to emphasize; in fairness, I present them here in alphabetical order. 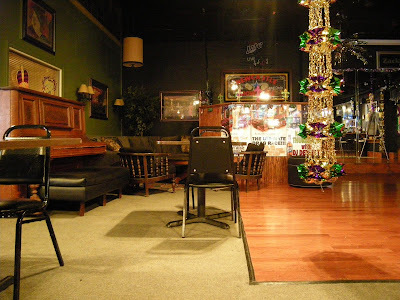 One of the less well-known options around town, Eastern Flames is a quiet place to relax in an austere environment. 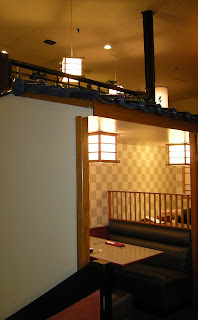 The sushi chef operates in the center of the room, surrounded by cherry wood chairs and tables and unpadded booths. Eastern Flames has one thing the other places I went lack -- the option of ordering half-rolls. I like this; gives you a chance to try several sort of rolls for less money. 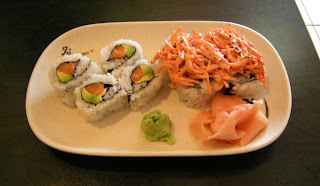 This tempting little platter is the Spicy Tuna Roll Lunch Box ($9.95). 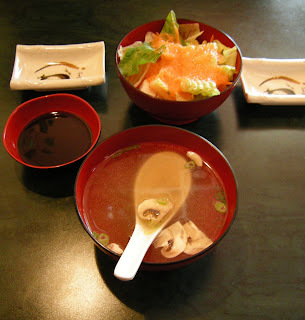 It comes with all you see plus a salty miso soup and a light salad with that ginger-peanut dressing that often accompanies Japanese meals around these parts. The tuna, whitefish, salmon and shrimp were all delightfully fresh. My dining companion and I enjoy those half-rolls a lot -- lunch-sized rolls that are four pieces instead of the normal six or eight. I rather enjoy the Spicy Crab Roll ($2.50) with its pile of Japa-mayo spiced crab on top, while my companion dug on the Salmon Roll ($2.25) pictured to the right. The half-rolls all run in the $2-3 range. Lunch boxes aren't limited to sushi. 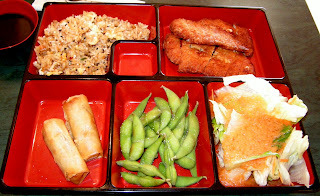 This Chicken Katsu Lunch Box ($6.95) also comes with soup and salad, along with edamame and spring rolls. The fried rice with its bits of toasted sesame seeds and vegetables is a welcome difference from most of the other rice offerings at area restaurants. The Katsu itself and accompanying Hoisin sauce were a good combination, but chewy. Then there’s sake. 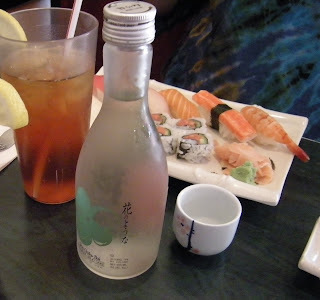 Eastern Flames offers a complete sake menu, from Geikkaikan on draft for $4 to $22 for a bottle of Sho Chiku Bai Nano organic. My companion's $10 bottle of Sho Chiku Bai Ginjo was 300ml of kick-back-and-relax with a fruity yet flowery flavor. 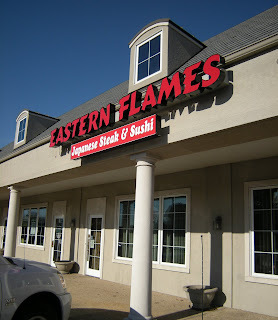 You may not have heard of Eastern Flames before, but that's okay -- it keeps the crowds small. Let the lesser informed head to the Japanese-esque sushi-and-teppanyaki chains. Eastern Flames at 7710 Cantrell (north side of the road, across from McDonald's). Lunch 11 a.m.-2:30 p.m. Monday-Saturday. 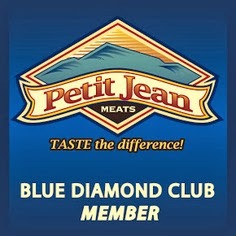 Dinner 5-9 p.m. Monday-Thursday, 5-9:30 p.m. Friday-Saturday. (501) 227-7222. 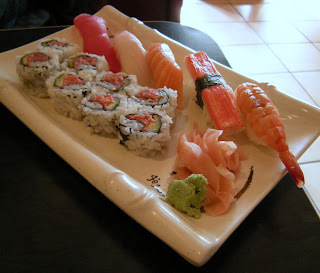 Unlike most of the other places on our sushi list, Gina’s isn’t a Japanese restaurant. That gives it the chance to be a bit more, to expand past the expected selection of maki, nigiri and sashimi and into even more. The flavors at Gina’s surprise me. They have a lot of flavors I haven’t found at other area sushi bars. It’s a welcome touch. 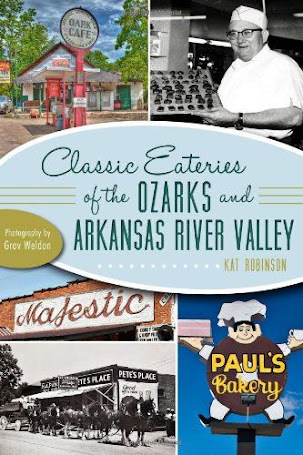 The restaurant manages to make a break with tradition and aim right at the taste buds of Central Arkansas patrons. The restaurant’s menu is dotted with what appear to be traditional names, even among the sushi. 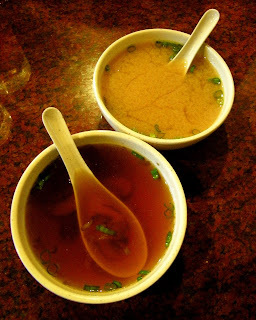 Indeed, there’s a miso soup starter that‘s savory and pleasant -- though I prefer the mushroom soup and its deliciously dark depths. 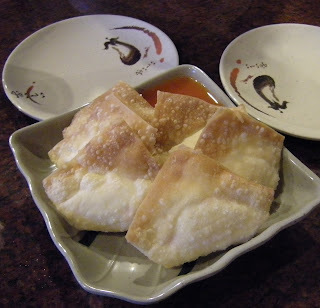 The Crab Rangoon are legendary at Gina’s -- they’re not just folded differently, they’re served up extraordinarily hot with ice cold housemade duck sauce. The difference in textures, temperatures and tastes are an adventure. But it’s in the sushi itself that flavors of the South truly peek through. Such as with the Hawaiian Roll, where the pineapple neither overwhelms nor disappears, serving as a very subtle relish to a light offering -- think how a light pineapple salad contrasts heavier dishes at a family reunion. 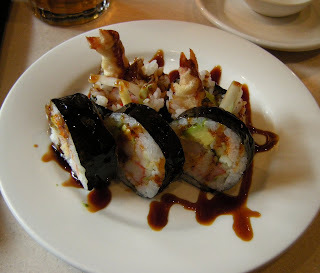 The Tempura Shrimp roll is similar to other efforts elsewhere, but comes across more salty with that slap of Eel sauce. And the Crawfish roll? I’d swear someone’s hiding some crab boil in that kitchen. It hollers like a-ca-dee-an-na. Nigiri is also fresh and lively. 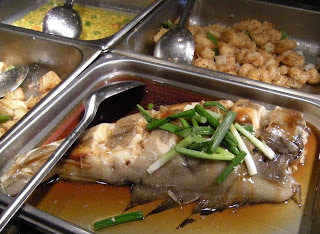 The chef I’ve encountered tends to pack a little looser than at other restaurants, and perhaps that dab of wasabi under the fish is a bit on the light side, but it’s fine by me. Gina’s Chinese Kitchen and Sushi Bar Gina’s is way out west at 14524 Cantrell Road. It‘s open from 11 a.m. to 10 p.m. everyday. (501) 868-7775. 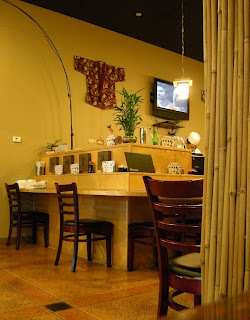 There’s something absolutely charming about tiny little Hanaroo, the little sushi bar that could just off Louisiana on Capitol Avenue downtown. The humble little place is within walking distance for a good number of downtowners -- but when I’ve had the opportunity to go by for lunch it’s been mostly empty. Crazy? Yeah, it is. Because the food is good. Lunch boxes are ample. 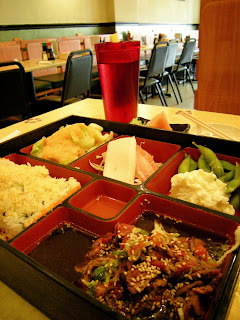 For instance, the B-10 Bento Box ($9.50). 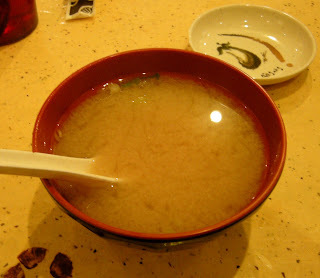 Of course, miso soup comes out first -- very brothy with well-saturated tofu and tiny slivers of onion for texture and taste. The box itself is packed with variety -- a salad (which included tomatoes and cucumbers in addition to the standard lettuce) topped by a refreshing orange-ginger dressing. Nicely salted edamame. The Beef Tataki comes in a broth of its own (I'm used to seeing it in a dryer preparation), nicely peppery with a spicy kick about two seconds after a bite -- but that’s great to try alongside the unexpected dollop of horseradish potato salad paired with the box. The Double Punch roll I chose with the box was one of the best rolls I’ve had around here -- tempura shrimp and crab inside the roll, enhanced with the texture of "crunchies” generously scattered over the top. The sashimi with the box was firm, smooth and not the least bit fishy. You'll find Hanaroo a couple doors down west off the corner of Capitol and Louisiana. 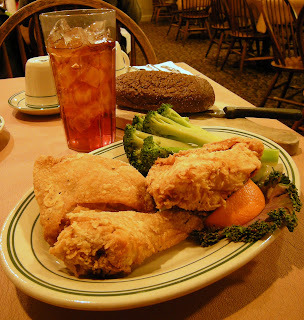 Lunch runs 11 a.m.- 2:30 p.m. Monday through Friday. There's also dinner available 5-9:30 p.m. Monday through Saturday. (501) 301-7900. For an intelligent, adult place to have a sushi lunch, you really can’t beat Igibon. 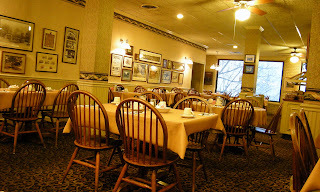 The wait staff is polite, the crowd tends to be the suit-and-power-tie crowd, and the menu is mature and creative. 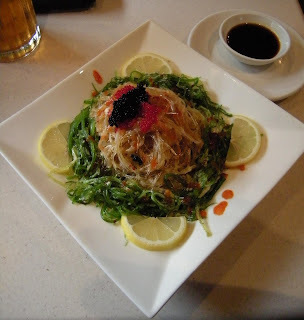 Appetizer options include the picture-perfect Tako Sunomono ($4.95). 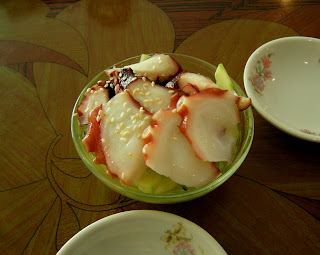 This light combination of delicately sliced octopus and cucumber in vinegar sauce isn't just tasty and refreshing, it's also a conversation starter. There’s a nice variety of options at lunch, including udon, sushi slates, and bento boxes. 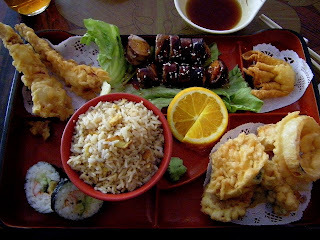 The Igibon Special bento box ($8.95) is a considerable amount of food -- including Beef Maki, Shrimp Tempura, Vegetable Tempura, sushi, fried or white rice, crab wonton, salad, and soup. The Beef Maki ($4.95 on its own) is something I've never seen anywhere else -- ribeye steak sliced thin and rolled around scallions and carrots, covered in a soy-based sauce and sprinkled with sesame seeds. It's served warm, and it's different -- like tiny sushi-sized chunks of pot roast. I also have to comment on the salad dressing -- though thin, it's a great combination of creamy and tart and goes well with the whole dinner. 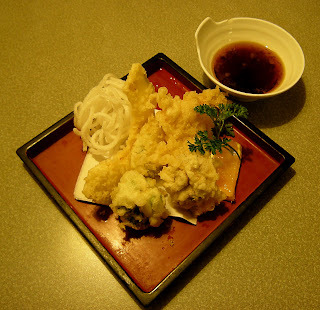 The broccoli floret tempura, however, is a bit wieldy in my opinion. Sushi B ($6.95) is one of three sushi slates offered with soup for the lunchtime crowd. 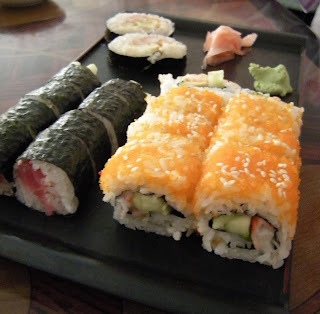 It includes California roll, tuna roll, cucumber roll, and a couple of pieces of a house roll with avocado and crab stick. 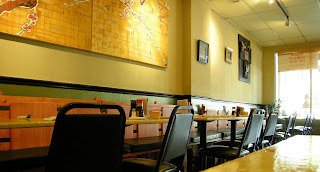 You'll find Igibon Japanese Food House at 11121 North Rodney Parham Suite A-13 (in the Market Place Shopping Center). (501) 217-8888. 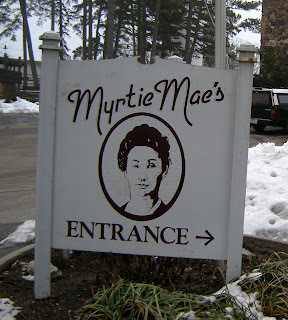 It's open Monday-Saturday 11:00 a.m. to 2:30 p.m. for lunch and 5-10:00 p.m. for dinner. 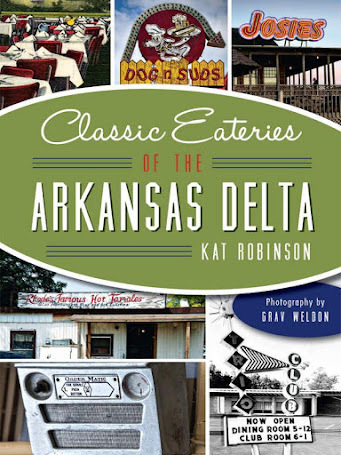 The granddaddy of all Arkansas sushi bars. Its more formal atmosphere is often clogged with businessmen, perhaps making deals as they crowd tables upstairs in the canopy section. First dates and longtime lovers find the secluded booths a real treat. There’s always someone sitting at the sushi bar, and there’s always something great on the menu. The venerable Little Rock Japanese establishment has been serving up sushi, tempura, and sukiyaki since the mid-80s. 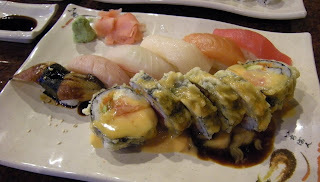 Fuji's sushi is predictable only to the point of you know what you'll get when you order a Spider roll, a Razorback roll, or any of the many specialties on the menu. The fish is fresh, the rice is sticky, and the dishes are clean. 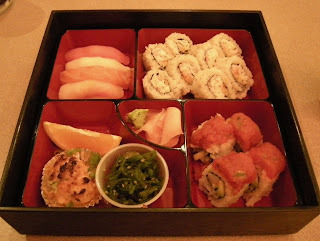 The Sushi Special ($9.95), is a real lunch in a box, a pretty box at that. The special changes every day in its specifics -- but it always includes four pieces of fresh sushi, a special roll, your choice of another roll (California, Spicy Tuna, Spicy Crab, Grilled Salmon/Cream Cheese, Crunchy Shrimp, or Asparagus) and accoutrements. 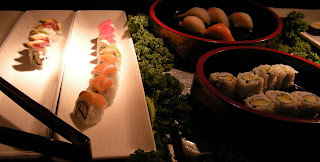 For example -- a particular day’s offerings included seaweed, a fish puff, a nice selection of sushi (tuna, conger eel, salmon, whitefish), four big pieces of a special roll that was similar to a California roll but with a mince of tuna and spice on top, and the ordered Spicy Crab roll. 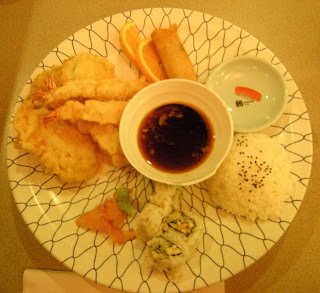 The Shrimp Tempura lunch box ($7.95) includes three perfectly battered and fried shrimp, tempura-clad veggies (sweet potato, potato, zucchini), the delicious and salty tempura dip and rice, four pieces of Crab roll and a spring roll. 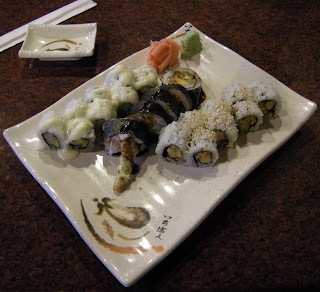 On Monday nights, Mount Fuji does a special where about a dozen of their more popular rolls are two for $10.95, and you can get appetizers buy one, get one half off. Here you can see four rolls -- a New Orleans roll, a King Crab roll, a Crunchy Shrimp roll, and a Volcano roll. 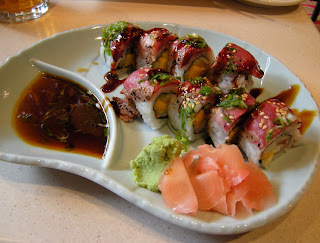 While all four were tasty, the Volcano roll without a doubt was our favorite. The spicy shrimp, crab stick, avocado, rice, and seaw eed are deftly formed, sliced, constructed into a pyramid and coated with a very spicy and robust Japanese mayo (which, if you don't care for that much, you can have on the side). You’ll find Mount Fuji at 10301 N. Rodney Parham Road, in the Breckenridge Shopping Center. 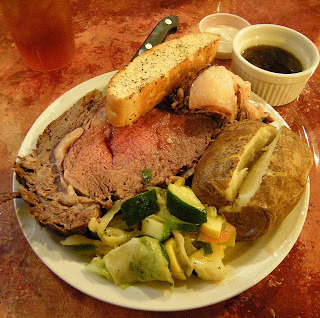 Lunch Mon-Sat 11 a.m. to 3 p.m., Sunday noon-3 p.m. Dinner 5-10 p.m. seven days. (501) 227-6498. 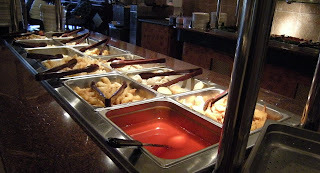 The only buffet on the list, Panda Garden at Shackleford Crostting Shopping Center has a lot going for it already, being a decently priced and well stocked Asian buffet. There’s a lot there -- a cold seafood bar, salad bar, dessert bar (complete with pie tower case), a bar that seems to be almost entirely composed of items t hat come with cheese, and a neat ice cream dispenser where you dial in the flavor you w ant to add. 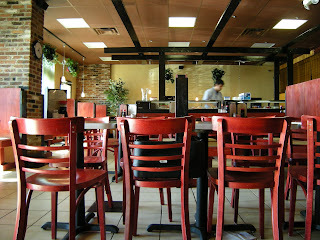 All that's nice, but the part that really makes Panda Garden stand out is the sushi bar. That's right -- I said sushi bar. Sushi can be a scary proposition on any buffet -- there's no telling how long each piece or roll has sat out under questionable heat lamps or sneeze guards. But here, no worries. An actual sushi chef is behind the bar, ready and willing to take your suggestions and request. The daily "special roll" can be a bit of an interesting mixture, but there are also choices like Volcano Rolls, California Rolls, and other favorites like Spicy Crab, Philly, and Avocado. And the price is more than reasonable. 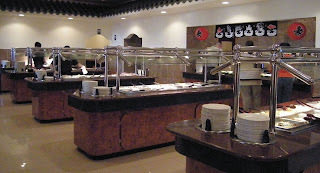 Lunch is $6.95 for the buffet (not including tax or drink) -- less than you'll pay for one of the "house rolls" at many of the other sushi joints in town -- and at those p laces you don't have items like fried wontons or General Tso's chicken to add to your plate. 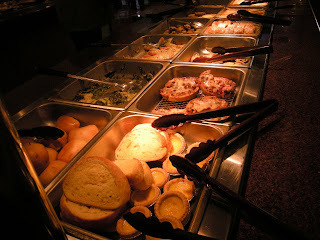 We had friends that went one night late for the buffet. The sushi chef came out to the table and asked what they liked and made up a big platter for them, to make sure they had what they wanted before the line closed down. That’s awesome. 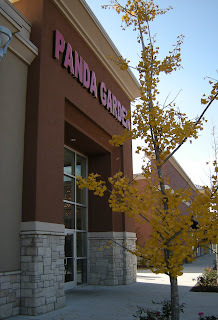 You'll find Panda Garden at Shackleford Crossing south of I-430... they also have a take-out menu, if you're interested. Dial (501) 224-8100. 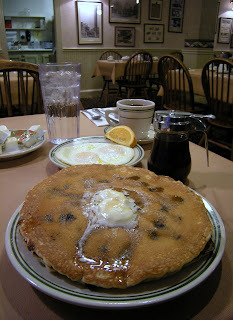 Open at 11 a.m. seven days a week. It’s one thing to make food delicious. It’s another to make it gorgeous. And sometimes the twain never meet. 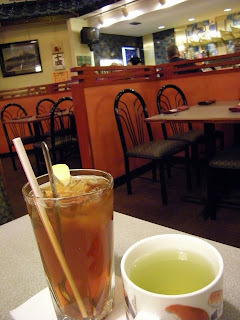 But they pair quite nicely at Sushi Café in the Heights. Presentation is just as much a part of the dining experience as the taste. It almost makes the prices on the menu seem perfect. That’s not to say that you wouldn’t pay twice as much for items such as the Out of this World Jellyfish Salad ($7) at an upscale restaurant in a bigger city. As delicate and beautiful as the plate is, it’s matched by a well-created mass of salty jellyfish within a savory ring of seaweed. It’s actually a very, very good starter. Then there's the nigiri, which is prime and perhaps the best packed in town. You'll find a lot of specialty nigiri at Sushi Cafe, like this gorgeous and buttery Toro. 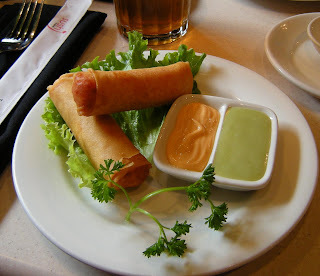 As are the Mini Harumaki Rolls ($7), savory crab-filled spring rolls with a nice kick of spice to them, served up with two sauces (a Japanese “mayo” and a sweet wasabi sauce). These aren’t cabbage-strapped rolls that contain slivers of crab, but meaty columns of sweetness that you want to horde for yourself. The sushi, by the way, also ranks top notch. The Rock ‘n’ Roll is a better than average version, but the Cowboy Roll ($12) topped it by far with its savory vs. sweet range, a California Roll stuffed with mango and then topped by New York Strip steak. Of course, there’s far more to offer at Sushi Café, such as burgers and gyros and crab cakes and Pad Thai and fish ‘n’ chips and… actually, trying to figure out what to eat at Sushi Café is one of the two problems I encountered there -- the other being the tightness of the little restaurant. It is a bit cramped, especially for the crowds it can draw. 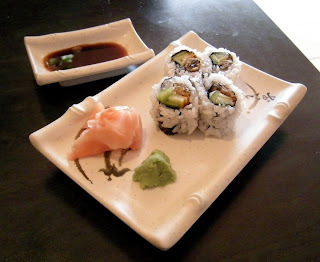 Sushi Café is open 11 a.m. to 2 p.m. Monday through Friday for lunch and 5 p.m. til late for dinner every day. And there’s a Saturday brunch that lines up things like eggs and sausage with Sashimi Breakfast. Go figure. Find it at 5823 Kavanaugh in the Heights. (501) 663-9888.